Every year at this time it’s a good idea to check over the following tips and reminders so your pets will enjoy the fall and winter seasons. 1) Antifreeze: Antifreeze can be lethal. Some contain ethylene glycol, which is sweet tasting to your pet but will shut down renal function and lead to kidney failure. Always clean up any spills in the garage or driveway and dilute and wash with lots of water. 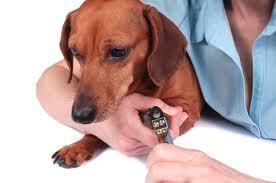 If your pet licks some or you suspect he has, contact your veterinarian immediately! 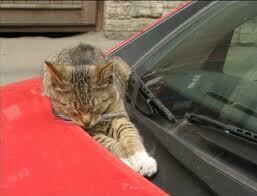 2) Car Engines: As the weather turns cooler, cats like to sleep near a warm car engine, curling up on or under the hood. 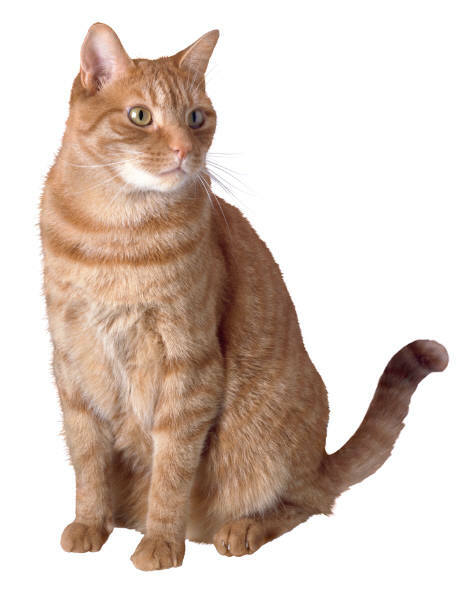 Make sure you always know the location of your cat and honk your horn before starting the car. 3) Sweets: Holiday candy is as bad for your pet. Stomach aches, vomiting and diarrhea are the milder side effects, while an over-indulgence in chocolate can prove to be fatal. Chocolate poisoning is caused by theobromine, a caffeine chemical substance found naturally in chocolate. Keep all chocolate well away from curious pets! 4) Frostbite:Frostbite is the number one winter pet hazard. 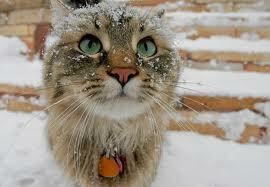 Cats should stay indoors and owners should shorten dog exercise walks when the temperature falls. 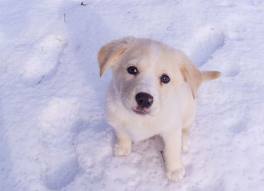 5) Rock Salt: Rock salt used to melt snow and ice can cause irritation to paw pads. Rub a bit of baby oil and sprinkle some baby powder on the pads before going outside. Clean pads before coming back inside. 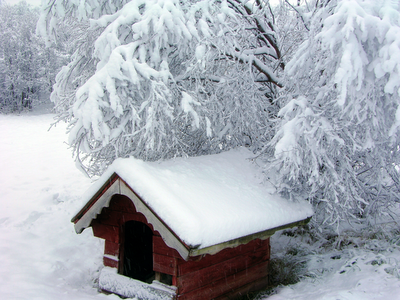 6) Adequate Shelter: If your pet must be outside at all, make sure you provide adequate shelter. A doghouse should be no more than three times the size of the dog. Cedar shavings make the best bedding. Avoid blankets & straw, they harbor fleas. I possible point the door opening to the south to decrease wind and increase sunshine’s heat. 7) Dandruff: With the dry winter air, dandruff becomes a problem. 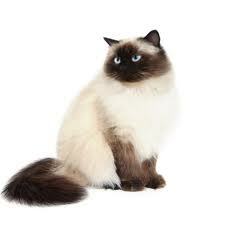 Keeping your pet brushed will help remedy this condition. We have the proper skin moisturizer and omega 3 fatty acid oil capsules to prevent dryness from winter heating. 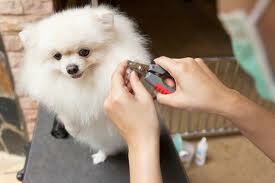 8) Toenails: Without hard surfaces to act as a natural file, dog’s toenails are longer in the winter. Regular clipping is the solution. 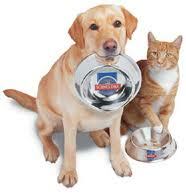 9) Diet: Just like people, pets burn more calories in the winter. 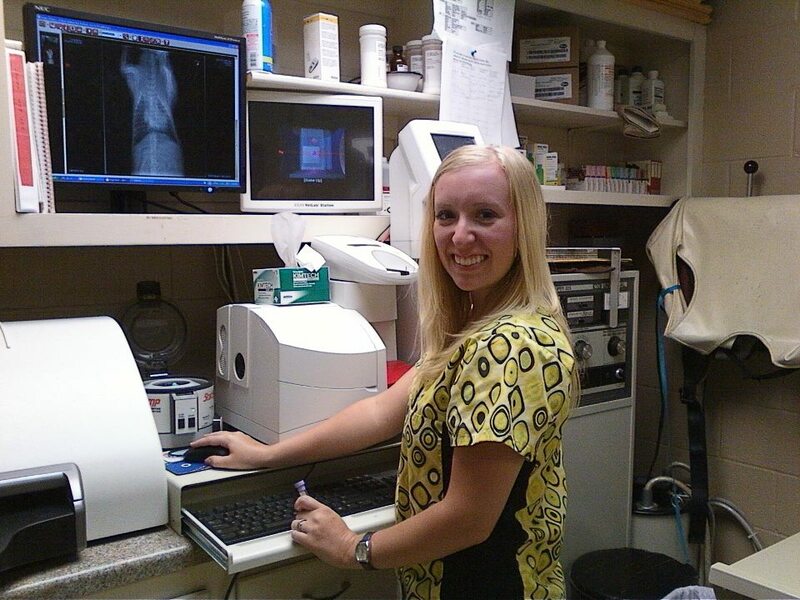 Your veterinarian can help determine if your pet’s diet is adequate and balanced. 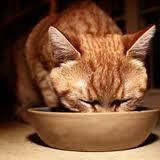 10) Dehydration: Make sure your pet’s water stays unfrozen. It’s better to use a porcelain pottery bowl, not metal, to prevent tongues from sticking. 11) Christmas Tree: Make sure your Christmas or Chanukah tree is well secured. If you have a tree-climbing cat or large dog, anchor the top of the tree to a wall using strong cord or rope. 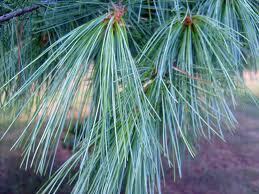 12) Pine Needles: Check around holiday trees frequently. 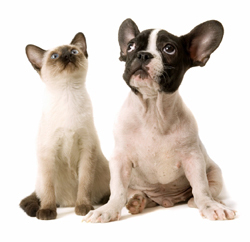 Ingested pine needles can puncture the pet’s intestines. 13) Ornaments: Sharp or breakable tree ornaments, yarns and ribbons, angel hair and icicles should be kept out of Fido and Fluffy’s reach. Hang them high on the tree and make sure your packages are securely wrapped. 14) Holiday Plants: Holly, mistletoe, and poinsettia are extremely poisonous when eaten. You can enjoy their beauty by placing them well out of reach of curious pets. 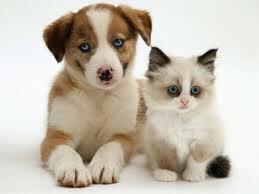 15) Electric Cords: Puppies and kittens like to chew on everything. Watch closely and reprimand and scare them if they attempt to play/chew on it. Keep cords out of reach!